Developers working on Windows can also use Elements within Microsoft's Visual Studio IDE. Elements can integrate with Visual Studio 2015 and 2017, Community, Professional and Higher. The Community Edition is a free download available from Microsoft at visualstudio.microsoft.com/downloads. From inside the Visual Studio IDE, you can develop, deploy and debug on all the platforms supported by Elements. When targeting the Mac and iOS platforms, Elements inside Visual Studio will communicate with tools on the Mac, as necessary, using a small utility called CrossBox. In general, working with Elements inside Visual Studio behaves the same as working with Microsoft's languages and platforms. Please refer to Microsoft's documentation for Visual Studio. 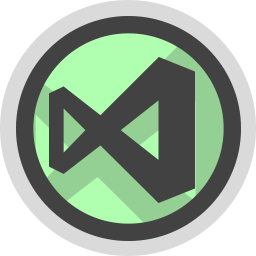 Depending on what platforms you wish to develop for, the Elements compiler and Visual Studio have a few prerequisites you may need to install in order to have all the tools you need to get started with the platform.